While responding to new emails, I open up my social media platforms and jump into the day’s work. The Open Road Media marketing team shares ownership of our social media accounts on Facebook, Twitter, Tumblr, and Pinterest, so we each pop in when there’s a conversation we want to join. Obviously, one of our main focuses is books, but we also talk about whatever else catches our attention (like this video, for example). Additionally, we help our authors to make their own forays into the world of social media, and run fan pages for authors who have passed away. When we have a new ebook coming out, we spend a lot of time researching the right people to tell about it. In addition to researching which genres and categories interest reviewers (those “Review Policy” sections are gold! ), we also seek out folks we call “champions,” or people who are already familiar with an author we’re publishing, and might be particularly interested in a release. Once we know the reviewers we want to approach, writing and sending press releases and pitches constitutes a major part of our day. We’re all about keeping reviewers aware of our latest titles. Each digital marketer handles a different set of ebooks (someone specializes in romance, another person handles mysteries, and so forth) and approves new requests that result from pitches and press releases, or from reviewers finding our titles organically on NetGalley. 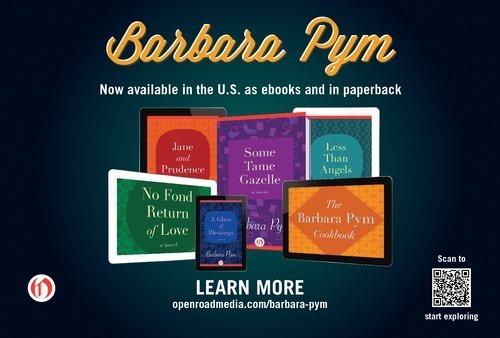 I work primarily on literary fiction—reintroducing classics from the twentieth century to digital readers—and it is exciting when I connect with someone who loves a book already and wants to spread the word. We also have a weekly marketing meeting where the whole team gathers to review what’s going on and plan for upcoming campaigns (for example, we’re gearing up for Short Story Month and Mother’s Day right now). If you follow us on social media, you’ll see we’re very into celebrating all holidays, no matter how obscure. 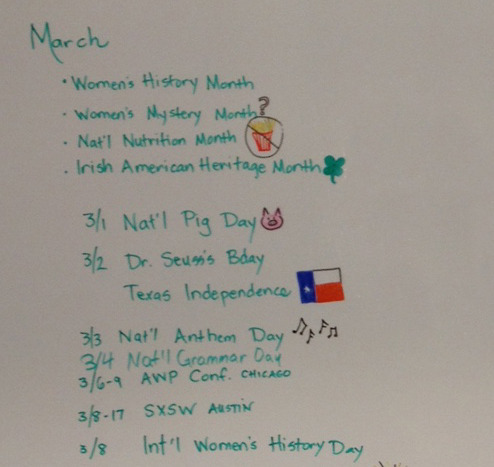 Our office has whiteboard walls, and we devote a whole wall to keeping track of everything from National Pig Day to World Poetry Day! Each month we have an office-wide celebration for all the birthdays. 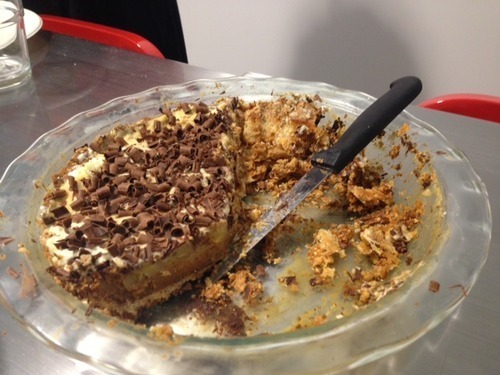 We combined our March birthdays with a Pi Day bakeoff, for which four colleagues baked and brought in delicious goodies from Pie It Forward, one of the many ebooks we’ve publicized via NetGalley. (Shown: the Velvet Elvis Pie. It was devoured.) At Open Road Media, we also run our own blog, which features essays, excerpts, videos, photos, and news (a recent favorite: an essay comparing reading Rebecca West to watching reality television). Many folks on our team spend time writing and preparing the posts. This month, for example, we’re doing a series for Women’s History Month that spotlights an incredible female author each day. We have a great video production team that interviews many of our authors to create stunning documentary-style videos, and digital marketers spend time finding pieces from different interviews to produce thematic pieces such as Women’s History Month: Faces of Feminism. We make these videos available to other bloggers who are interested in featuring multimedia content around different books and authors. As the day winds down, we wrap up follow-up emails to reviewers and correspondence with authors. 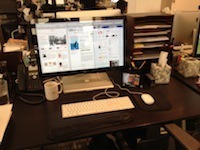 All this makes for a lively workday at Open Road Media—no two days are ever the same. In fact, I’m already wondering what surprises our April bakeoff will bring… . What title from your list on NetGalley do love and want to recommend? 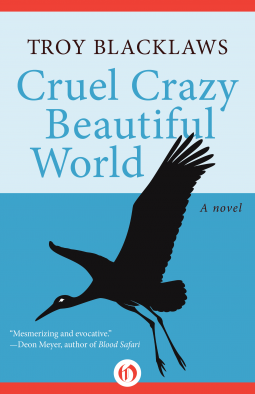 I’m really excited about our upcoming release for Troy Blacklaws, a South African writer whose most recent book, Cruel Crazy Beautiful World, has never before been published in the United States. It is perhaps the most vivid, dazzling, comical, cruel, crazy, beautiful book to surface from post-apartheid South Africa, and I want everyone to read it! Find out more on the Open Road website.